TNM Limited Company number 4029 was the pioneer mobile network in Malawi. Listed on the Malawi stock exchange, it was established in 1995 as a joint venture between Telekom Malaysia and the then government owned Malawi Telecommunications Limited (MTL), In April 2007 Telekom Malaysia sold its 60% majority stake in TNM. TNM is now wholly Malawian owned with the following share holding. Malawi Telecommunications Limited (MTL) 44.44%, First Merchant Bank (FMB) 12.92%, Press Corporation PLC 10.46%, Old Mutual 10.46%, Public 20.72%, Employees 1%. Geographically TNM network covers over 74% of Malawi. TNM operates3.5 Generation network enabling advanced high speed broadband multimedia services, in addition to GSM/GPRS/EDGE net works. TNM offers a comprehensive range of pre – paid and Post paid services, these include voice and data connectivity. TNM has been a pioneer of many services in Malawi and became the first mobile operator in Malawi to launch 3.5G broadband services in Malawi offering cutting edge services such as video calls, video and music streaming, high speed wireless internet access services. As Malawi’s Premier mobile company we will enable people and businesses to realise their full potential. 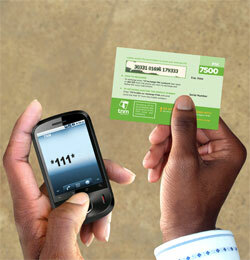 In doing so, our mobile services will contribute to the growth and development of the Malawi economy.